Growing up plain, I have had the opportunity to see a lot of items being used on a daily bases, that some may think are antiques! 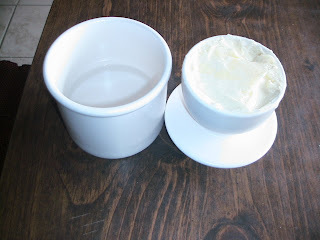 One of my favorite items around the kitchen was the butter crock! So you can imagine my delight to learn about Butter Bell! Now here is some new butter crocks that look great in Any modern kitchen, yet still hold that picture perfect look of something from by gone years! These adorable butter crocks are a registered trademark owned by L. Tremain, and are now the most popular brand of butter crocks in the US!! Butter Bell is a small, family owned business! Another reason to love them! And they have been in business for over 13 years! Wow! Right now, Butter Bell is having a fall sell! You can buy two Butter Bells and get one free! How great is that? One for you and two to give away for Christmas gifts, if you want! I have a Butter Bell and absolutely LOVE it! It is so cute! It holds one stick (1/2 cup) of butter and stays so fresh! I have it sitting on my counter, away from any heat and replace the water in the crock about every three days! 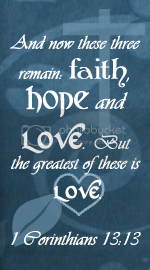 That is all you have to do! Very simple and handy! We go thru a lot of butter since we eat a lot of bread, rolls, cornbread and biscuits! My children love the new Butter Bell! Well, my children love butter, period! So they fell in love with the new Butter keeper! 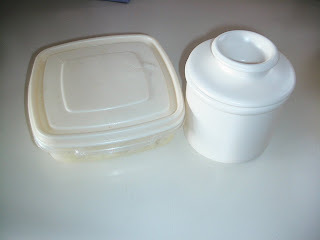 And I was glad to retire the old butter container (a plastic dish that got dirty fast and just wasn't very pretty!)!! Good-bye old plastic butter container, and Hello Butter Bell!! This is one gift that you can give to anyone and they should love it! A good gift for someone that "has everything" or is hard to shop for! You have to visit Butter Bell and check out all the lovely colors and styles that they have! And don't forget to take advantage of the buy 2 get one free offer! The offer is good thru Dec. 15th, 2010. 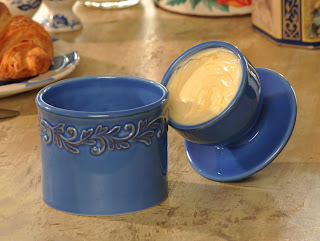 One of my favorites is the Antique Butter Bell Crock in Azure (pictured below)! Isn't it lovely? 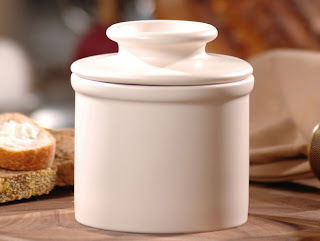 This French butter dish also comes in Lavender, Goldenrod, Sienna, Ivory Rose, Rouge, Vert, Sea Spray and White Linen. 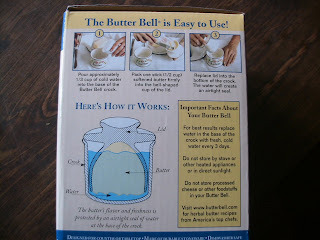 The amazing people at Butter Bell are going to give one of my blog readers their very own Butter Bell crock!!! Thank you so much to Butter Bell for the great buy 2 get one free offer and the giveaway!!!! 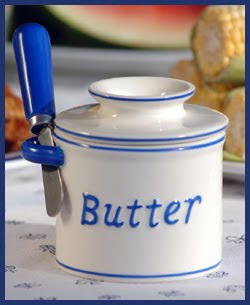 Visit Butter Bell and tell me which Butter Bell crock you would love to have or give as a gift! That gives you 25+ chances to win! Have fun! This giveaway is open to the U.S. and Canada and Ends on Dec.10th at 12 am central. The winner will be chosen at random using random.org. The prize will be sent directly from Butter Bell to the winner. I love the "Antique" butter bell in rouge. I like the Antique Rouge Butter Bell. I follow you via email. Thanks for the chance to win. I like the handpainted Raised Floral Butter crock. Hard to choose among all the lovely choices. 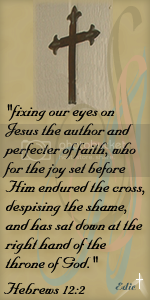 following your blog on gfc as jhb.